Sometimes, what happens in Vegas doesn’t exactly stay in Vegas. 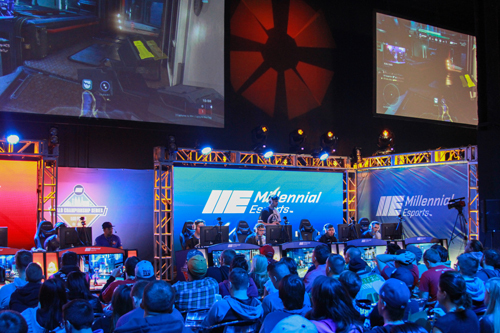 Such was the case this weekend as Halo fans across the globe tuned in to see a marathon weekend of Halo action taking place at the brand new Millennial Esports Arena at Neonopolis. 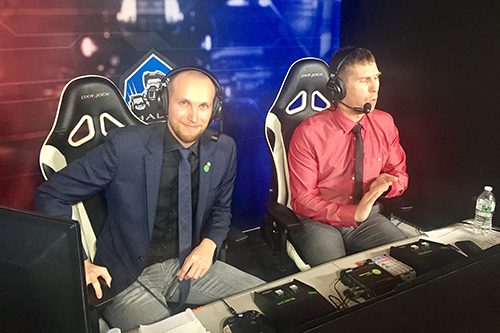 HCS Las Vegas had just about everything you might want to see in a live tournament: upstarts making waves, champions making plays – oh, and a wizard with a birthday. 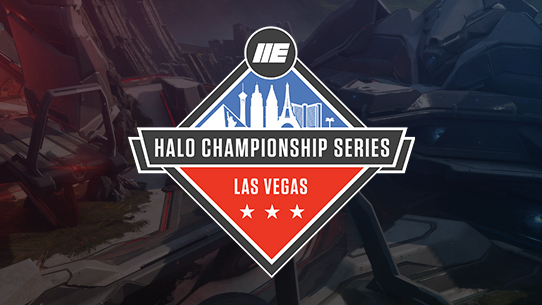 Read on for a recap of the weekend's top stories and don't forget you can watch many of the HCS Vegas key matches via the PGLpro Twitch archive. 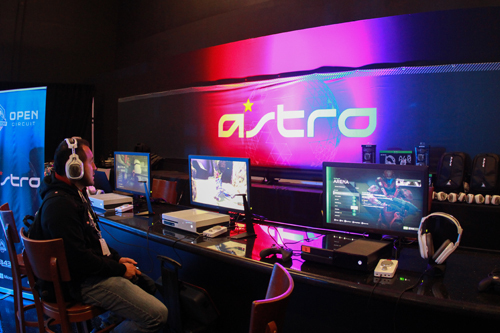 HCS Las Vegas kicked off on Friday with the Halo 5 FFA Powered by ASTRO Gaming, which saw over 220 competitors from all ranks come together to vie for glory and gains. When the epic task of culling down the huge field was finally said and done, fans and viewers were treated to a fantastic finale that featured three amateurs and three pros. The final standings saw Snip3down reign supreme after an inspired second-match performance gave him the kill count needed to break a three-way tie for first place between himself, fellow HCS Pro League player Stellur, and talented upstart amateur Eli Elite. 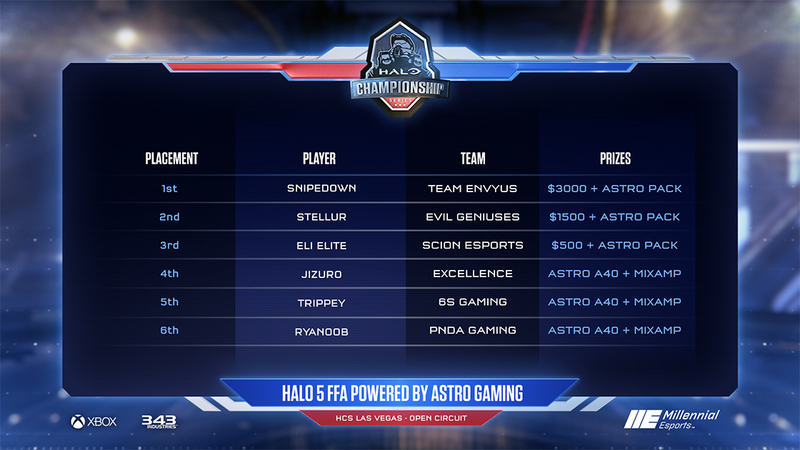 In Game 1 of the FFA Finals, Snip3down placed third, putting himself behind both Stellur and Eli Elite in first and second, respectively. To many, it looked like Snip3down was all but out of the running for the FFA crown – until Game 2 on Mercy that is. In Game 2, absolutely nothing could stop him as he pulled away in first by 12 kills at one point. Within the final minute, Eli Elite and Stellur battled back and forth for second place, with Eli Elite picking up a vital kill in the remaining seconds to secure the second spot on Mercy. When Game 2 came to a close, the results showed Snip3down in first, Eli Elite in second, and Stellur in third (Fun fact: Stellur actually placed in the Top 2 in every single FFA game throughout the entire tournament – until the final game in the FFA Finals). With Game 2’s results putting all three players in a three-way tie, it came down to a tiebreaker decision based on the total number of kills from both Game 1 and Game 2. Out of the six players that made FFA Grand Finals at HCS Orange County, not a single one of those players pulled off the same feat at HCS Las Vegas. bubudubu struggled early in Round 1 by placing third in Game 1 in his group, with SnipeChamp placing first, and MrSoulSnipe placing second. bubudubu was ultimately knocked out in the Semifinals. All four players on Enigma6 made it into the Semifinals, although none of them made it to FFA Finals. 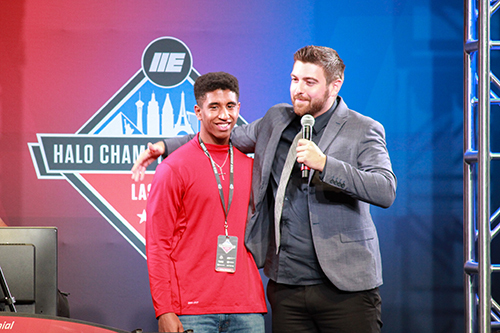 HCS Las Vegas was Eli Elite’s first HCS event, where he shocked everyone by knocking out notable names such as Ace, Pistola, Shooter, and bubudubu throughout his FFA run. With Juziro’s Semifinals placing at HCS Orange County, Grand Finals placing at HCS Las Vegas, he is fast proving to be one of the best FFA players in Halo 5. On Saturday, the Open Bracket took center stage as four up-and-coming Open Circuit teams battled it out for the chance to take on 3sUp, Most Wanted, and Solstice in the Open Circuit Finals. Both Dynasty and 6S Gaming came out of their brackets on top, while Bittersweet and PNDA Gaming took the scenic route on their way to rounding out the Open Circuit Finals field. 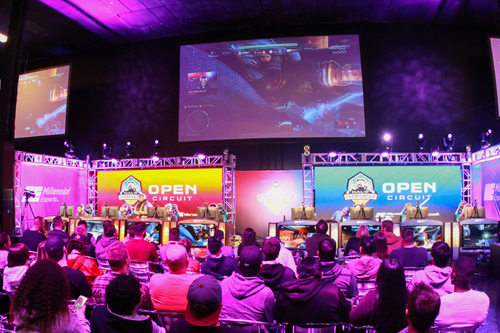 Saturday’s onslaught of action actually pushed the Open Circuit’s finale into Sunday in order to find out which two teams would move on to the Relegation Bracket in Burbank. When the pixels had settled, 3sUp and 6S Gaming took out strong challenges by early favorites PNDA Gaming, Dynasty, and Most Wanted, and will now head to California in December to take on Enigma6 and Team Allegiance for the right to enter the HCS Pro League contingent. 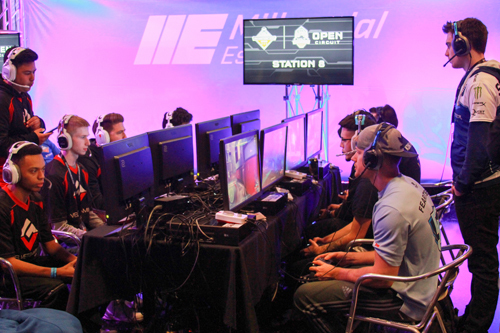 6s was the biggest story in the Open Circuit, taking down top open players and teams full of veteran players. 6s defeated top Open Circuit teams PNDA Gaming, Most Wanted, Solstice, and Bittersweet throughout their open tournament run. 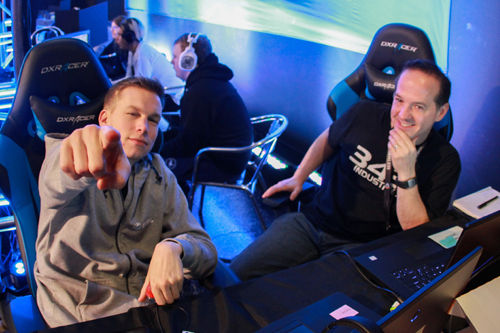 For both Saiyan and Trippey, this was their first HCS event. 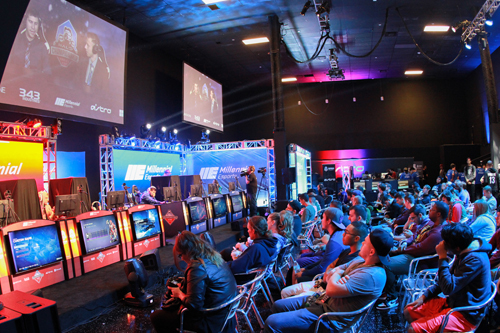 On Sunday, the crown jewel of the competition was the HCS Las Vegas Championship Bracket, which saw top Open Circuit teams take on some of the best HCS Pro League teams for not only bragging rights, but a $10,000 top prize. The Championship Bracket was chock full of incredible matches and moments, from Str8 Rippin’s ousting of Evil Geniuses late in the Losers Bracket, to 3sUp impressive and improbable run, punctuated by their epic reverse sweep of Enigma6. 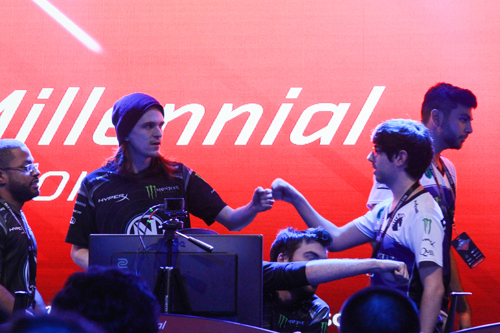 In the end though, the day would belong to a memorable and epic showdown between Team Liquid and Team EnVyUs. 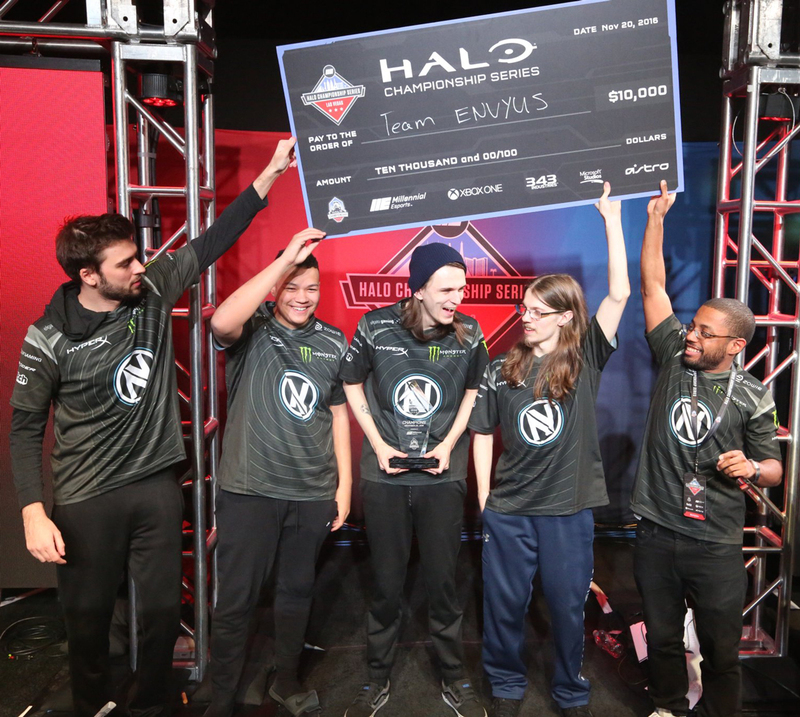 As two of the top three teams in the HCS Pro League, it should come as no surprise that these squads put on an awesome display that lasted late into the night and bled on into morning. The teams took their initial Grand Finals run into a Game 6, where nV would come out victorious to reset the bracket and force a definitive final series. 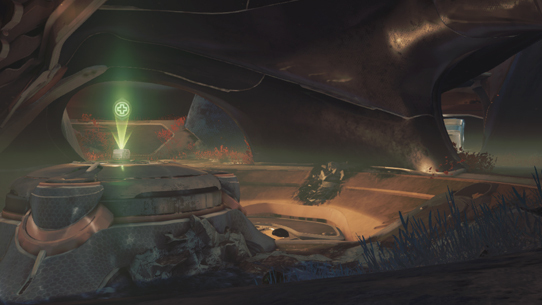 That final run opened up with Team Liquid taking the first two games to put nV on the ropes. However, channeling birthday magic from dimensions unknown, Pistola lead nV back on a tear in Games 3 and 4 to even up the series at two apiece. 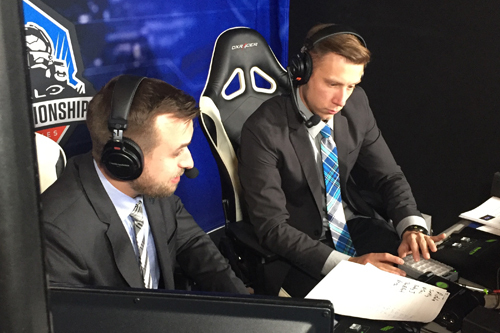 Liquid and nV would split the next two, setting up an all-in, bleary-eyed battle royale for the ages in a Slayer match on Coliseum. In what began as a lopsided contest that saw the talented Liquid squad build up a seemingly insurmountable 11-kill lead, Halo fans that had braved the ungodly hours were rewarded with a comeback for the ages as nV, aided by a monster run by Huke, brought it all the way back for both the match win, and the HCS Las Vegas crown. HCS Las Vegas Champions - Team EnVyUs. 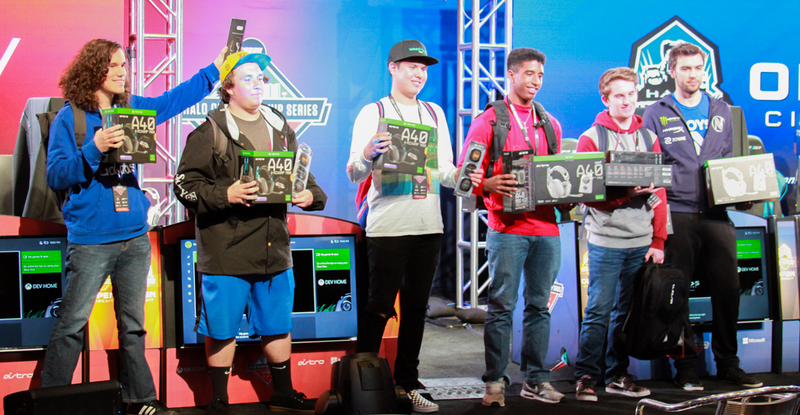 Pictured from left: Snip3down, Huke, Mikwen, Pistola, and Elumnite. 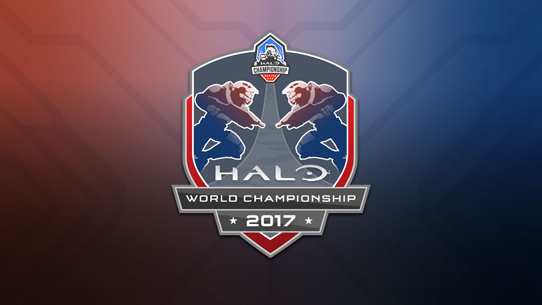 For everyone involved, whether competing, facilitating, or spectating, HCS Las Vegas turned out to be one to remember. The event had a sense that years from now, fans and players alike will look back at the epic battles fought over long nights under neon lights, and realize that they were all part of something special. Of course, it is Las Vegas… would you really have expected anything less?